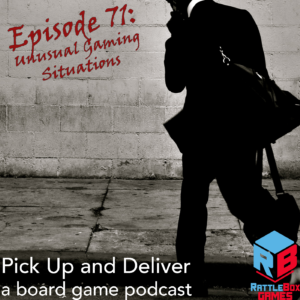 In this episode, Brendan discusses gaming situations like travel, solo play, and asynchronous that he uses to amplify and expand his board game time. What tricks do you use? For which unusual gaming situations have you found workarounds? Drop by boardgamegeek guild #3269 and let us know!